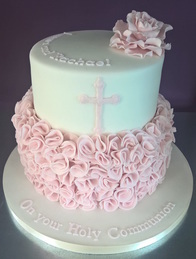 Whether its a traditional or novelty theme, Communion and Confirmation cakes are a real centre piece for your special day. PLEASE NOTE: ALL BOOKINGS FOR COMMUNION CAKES HAVE BEEN TAKEN FOR MAY 2109. We love the cake. (Clare, May - 19). Thank you so much for Marks Confirmation cake yesterday. He loved it and wouldn't let me cut it. Hoping today we might get some chocolate cake with our coffee. (Apr - 19). Thanks so much we love the cake. ​You never fail to amaze me your truly gifted. (Victoria, May - 18). Thanks again for the cake its fabulous! (Suzanne, May - 19). got lots of compliments. (Marie, May - 18). Thank you for our gorgeous and delicious cake. (Serena, April - 18). 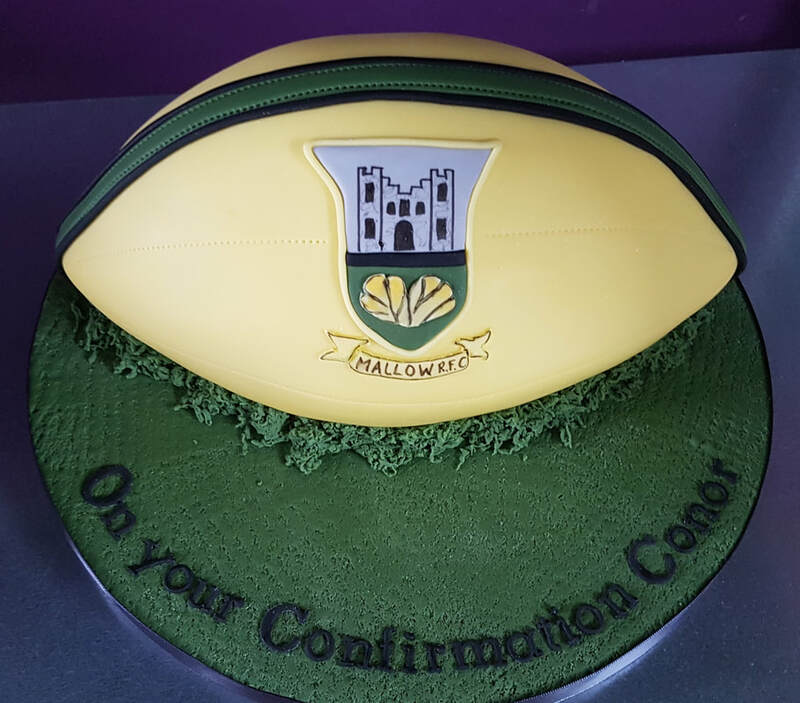 Thanks so much for Conor's cake he couldn't get over it when he saw it. Thanks for another fab cake. (Linda, May - 18). Thank you so much for a beautiful cake and queen cakes. They were all eaten and great praise given to you. Thanks a mill. (Andreana, April - 18). ​Cake is amazing thank you so much. (Dolores, May - 18). 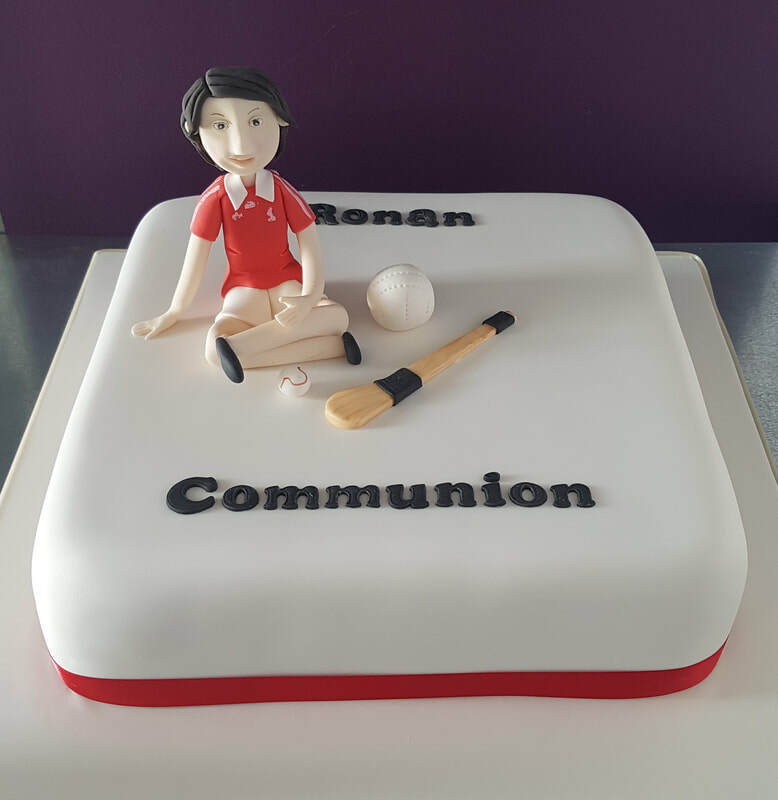 Thanks a million for Ronan's communion cake. He was delighted with it & it tasted fab as always. (Denise, May - 18). The cake was fabulous, thank you so much for all your work. (Fiona, May - 18). A big thank you for Louise's holy communion cake. It looked amazing and it was the best chocolate biscuit cake i've had. The aero mint was super in it. I will be booking you in 3 years time again p. g. Thanks again. 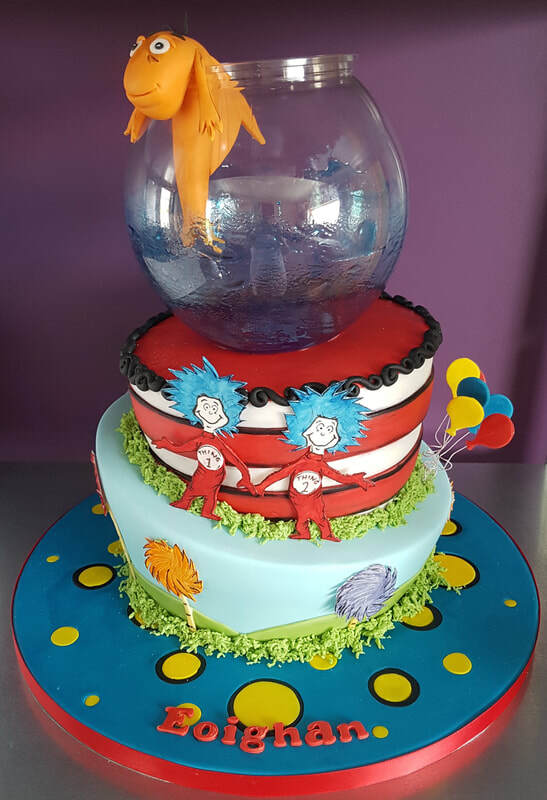 ​Thanks again for the cake, it was a huge hit with the kids. Thank u so much, she absolutely loves it ,its fantastic. (Mairead, Mar - 18). Just a wee text to say thank you so much for Sophies confirmation cake it was just fabulous... nothing left, thank u. The cupcakes and white chocolate biscuit cake beautiful too. Thank you as always u made it special with the cake... (Eva, Mar - 18). 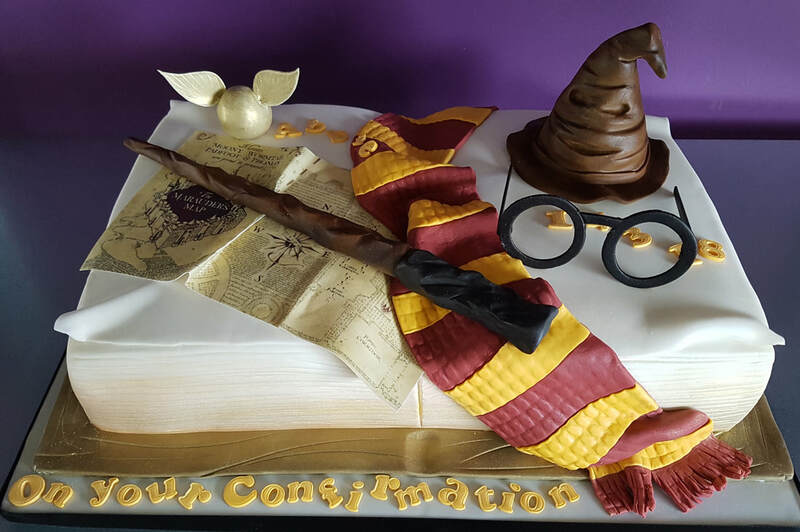 Ava's cake is outstanding we cannot get over how well done it is. Thank you so much. I will definitely be ordering again. (Carmel - May 17). ​Thank you for the gorgeous cake for Patrick. It was delicious. Thanks again. (Esther - May 17). 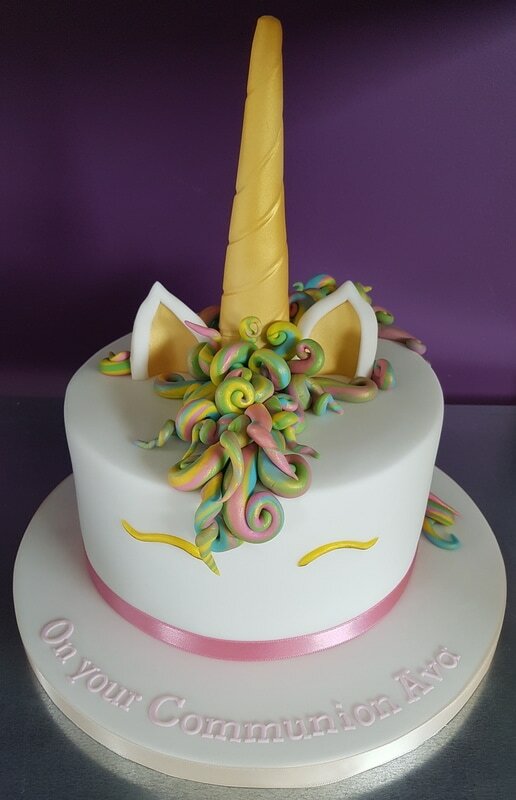 ​The cake you made for Evie's Confirmation was fantastic it looked amazing and tasted absolutely delicious it was the talking point of the party. You did a great job. Thank you so much. (Eilis & Evie - Apr 17). Thanks so much for Ciara's cake... she absolutely loved it!! (Claire - May 17). ​Thank you for the beautiful cake you made for sophie's communion she loved it. (May 2016). 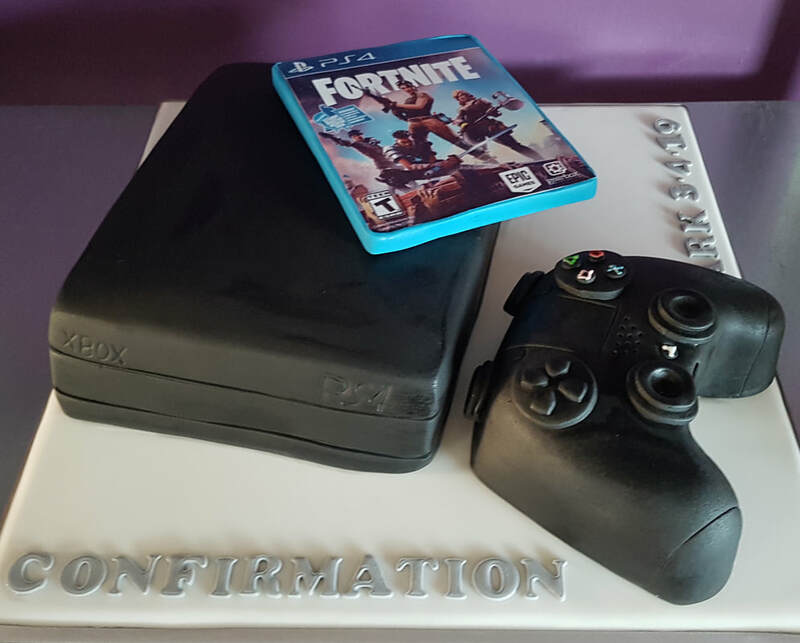 ​Cake is amazing thanks so much love it. (Ruth - May 2016). it really was outstanding. (Sinade - May 16). Thanks so much for the cakes for Daniel's Communion. The cupcakes were demolished in record time and we're making our way through the biscuit cake nicely (Its delicious!) thanks again. (Emer - April 16). Thanks a mill for everything... love the 'cakes on board' on your car x (Mary - April 16). Cake is beautiful, thank you. (April - 16). Cake was devoured it was delicious! Thanks again he was so thrilled with it. (Joanne - April 16). Thank you so much for Eva's fabulous cake, it looked so real I though if I touched it it would be fluffy! (April - 16). ​Thanks a mill Caroline, delighted x (Antionette - Feb 16).